James Gray brilliantly recreates New York in the 1920’s with this tale of a Polish immigrant arriving at Ellis Island with her sister only to get embroiled in prostitution as she tries to raise the money to release her sister who is being detained on the island due to illness. Brought up in Queens, New York, Gray locates this film in his beloved city. He is clearly influenced by Francis Ford Coppola and Sergio Leone’s Once Upon a Time in America as far as the film-making techniques go; a brown hue permeates the film that is reminiscent of The Godfather and American films of the seventies. This is made possible by the sepia tones of Darius Khondji’s delicious cinematography. 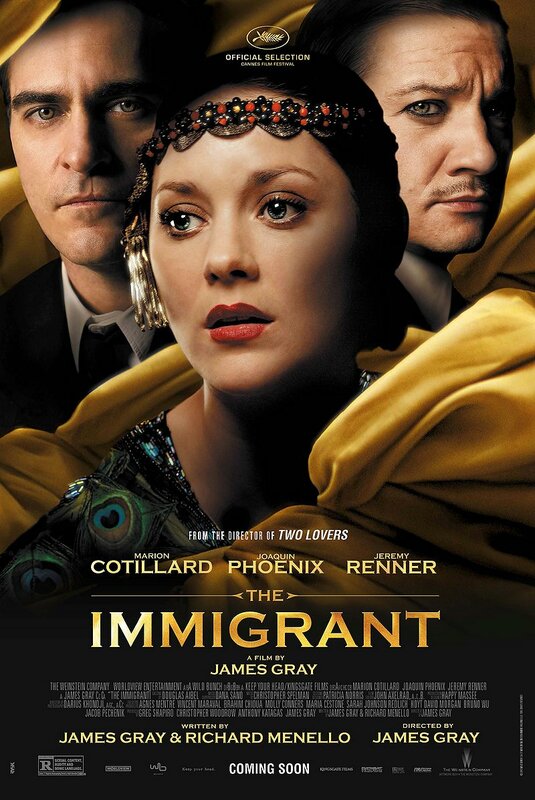 Marion Cotillard is Ewa, the immigrant of the title and she cements her status as one of the finest screen actors working today. The sign of a great actor is the capability to project emotions with a look and she does this wonderfully. Gray is an arthouse director with European sensibilities. His films tend to be downbeat and deal with the darker aspects of life, the complicated relationships between characters; they are not to everyone’s taste but nevertheless have artistic merit. Joaquin Phoenix is Bruno Weiss, Ewa’s twisted guardian angel, who cajoles her into the grim world of prostitution but strangely finds himself conflicted as he falls in love with her; another stellar performance from Phoenix in an already impressive canon. Jeremy Renner is on romantic duties as Bruno’s cousin who falls for Ewa. Excellent performances all round. This is a world of struggle and challenges for all the characters and all the creatives commit fully to tell this bleak tale of survival and the incredible fortitude of the human spirit. 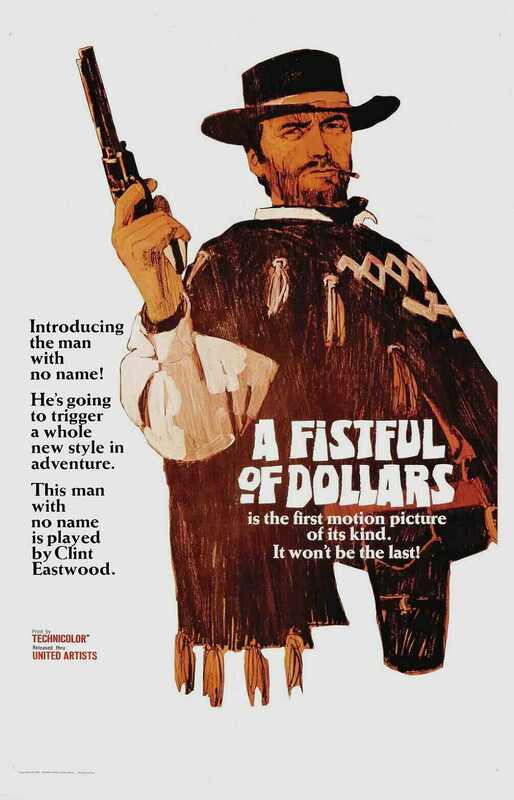 Clint Eastwood plays Yojimbo, a lone samurai…..
Toshiro Mifune gives a career defining performance as The Man with No Name in Serfio Leone’s…..
Sergio Leone remade Yojimbo as A Fistful of Dollars (Per un Pugno di Dollari) re-located to the American west, consequently getting sued by Kurosawa and losing 15% of the film’s worldwide gross, Kurosawa stated later that he made more money from Dollars than his original Yojimbo. In actual fact, the source material was the 1942 film noir The Glass Key which was based on the Dashiell Hamnett novel. The plot is simple, a lone gunman comes to a town and starts to play off the two crime families against each other to his own benefit. Clint Eastwood creates the iconic anti-hero, The Man With No Name in this seminal western with European sensibilities; all looks and attitude. As we all know now, this was the first of Leone’s Spaghetti Western trilogy. All of them are classic films that had a massive impact and influence on many films that came after. The long, lingering close-up shots, Ennio Morricone’s seminal soundtrack and the brilliant Gian Maria Volonte as the slightly deranged Ramon Rojo help to make this wonderful western opera.